A problem might arise while building dynamic web pages. In order to tackle the problem, Angular JS allows the developer to extend the functionality of HTML by giving them the ability to create new constructs with Angular directives. Therefore, it has always been the best choice for the developers. Here are some other additional benefits of using Angular JS. We are the best AngularJS development company that covers a wide range from music and video streaming apps to e-commerce and marketplaces. Whether you have a learning platform or simply need a custom widget or an interactive dashboard, our experts at Tech Support Dubai can cater to your needs. Contact us today to see what we can offer you. If you need any kind of help to develop websites with Angular JS, connect with us at Tech Support Dubai. Dial our helpline number 042053349 irrespective of time and talk to our proficient developers. We will offer you with the best quality service in a quick span of time. Not only we provide trusted services, but also offer essential techniques that will help to explore your business. We assure that you won&#39;t regret your decision once you reach us. Connecting with us is quite simple. If you are getting a busy tone at our helpline number, opt for our online service. We are available via email, text-message and live chat. 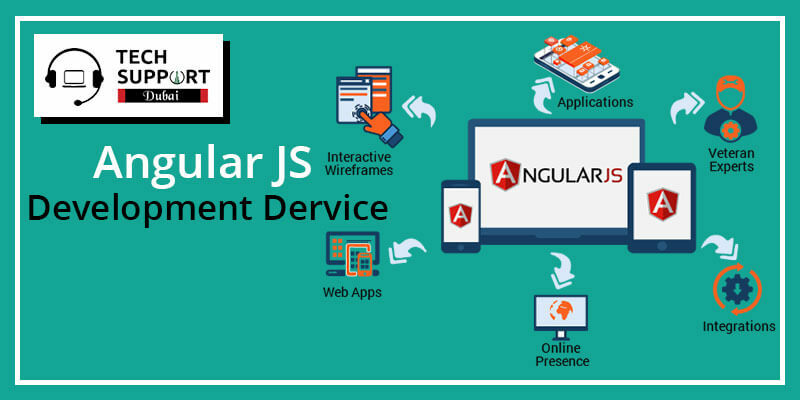 Opt for our Angular JS development services and be assured of quality service.